There was a time when a $50,000 annual household budget made it possible for a small family to live comfortably. Unfortunately, that is not the case anymore. Despite this now being the median income more are struggling to get by now than at any time since the Great Depression. To understand the problem it is necessary to discover what The average budget looks like. The problem is not solely on the backs of the housing market any longer. Many of those who were underwater several years ago have moved on, yet are still facing the same shortage of cash at the end of the month. Why? It appears it is less about wasteful spending and a refusal to save as many economists and politicians would like people to believe. The reality is, most families are paying more for everything, while still earning the wages they were years ago. The average budget consists of the same basics needs regardless of what is earned and where the family lives. There are expenses for shelter, food and transportation. American families pay insurance companies a lot of money. There are auto insurance policies, homeowners insurance and life insurance. Many continue to pay a lot for health insurance despite new laws designed to lower the costs. In addition, the average family spends nearly $5,000 every year on health care costs not covered by their plans. These are often the deductibles for office visits and prescriptions. Interest rates on auto loans may be down, but the cost of purchasing and owning a vehicle has continued to rise. The average grocery bill has skyrocketed, with meat prices alone increasing approximately 16 percent in the last two years. Once clothing, taxes and the multitude of other expenses are added, it becomes almost impossible to make ends meet. Many of these families have exceeded their credit card limits or have had the misfortune of falling behind in their bills. With a lower credit score, financing for household or automotive repairs or to cover any other unexpected expense is difficult to find. Payday lenders have filled the gap, but many consumers are justifiably wary of the conditions applied to these loans. 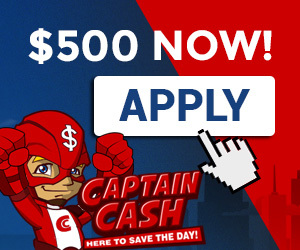 Looking for solutions, more people are discovering companies like captain cash. These private lenders have looser restrictions regarding who qualifies for financing. They offer better terms with lower rates than payday lenders and even some credit cards. They also make it easy to get money fast, exactly what those in a tight financial spot need. It is better for families to be able to meet their needs with their income rather than relying on loans. Unfortunately, until wages catch up with inflation, many middle class families will continue to face a budget shortage. To fill the gap, each family will continue to do what they need to live their lives.